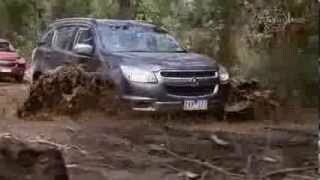 Holden Colorado 7 4WD SUV, the latest seven-seater off-roader from Holden based of the Chevrolet Trailblazer, will be unveiled at the Bangkok Auto Show in Thailand later this week. The Holden Colorado 7 shares its architecture and underpinnings with the new-generation Colorado Light Commercial Vehicle, which arrives in Australia mid-year. Check out the initial set official images released by Holden after the jump. The first images of Holden’s tough new off-roader – the Colorado 7 4WD SUV – in its Chevrolet guise have been released ahead of the global reveal of the production vehicle at the Bangkok International Motor Show in Thailand. The all-new seven-seater Holden Colorado 7, based on the Chevrolet Trailblazer, will be the first heavy-duty 4WD SUV to wear a Holden badge in almost a decade. 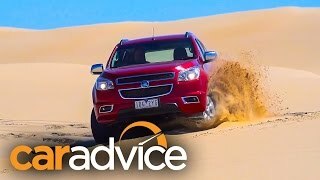 The Holden Colorado 7 shares its architecture and underpinnings with the new-generation Colorado Light Commercial Vehicle, which arrives in Australia mid-year. 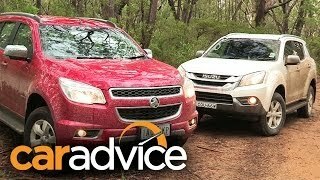 Holden Executive Director Sales, Marketing and Aftersales, John Elsworth said the growing popularity of SUVs in Australia would ensure the new Colorado 7 had a ready-made fan base when it is launched at the end of 2012. “Australians are buying more SUVs than ever before, and we’ve seen this demand reflected in the growing popularity of our Series II Captiva range,” Elsworth said. “Developed to deliver everything Australians could want from a tough 4WD, with coil-sprung five-link rear suspension and a competitive 3-tonne towing capacity the Colorado 7 will be an impressive addition to our SUV line-up. The Trailblazer will feature on the Chevrolet stand at the Bangkok International Motor Show from 28 March. Holden will release official Colorado 7 product information, specification and pricing details closer to launch.